With all the media attention to the environmental and human catastrophe, both actual and predicted, surrounding our dependence on oil and other non-renewable sources of energy, it can be easy to take a rather pessimistic view of our global energy landscape. As a recent story on NPR’s Marketplace asks, will we ever be able to rid ourselves of our addiction to oil? 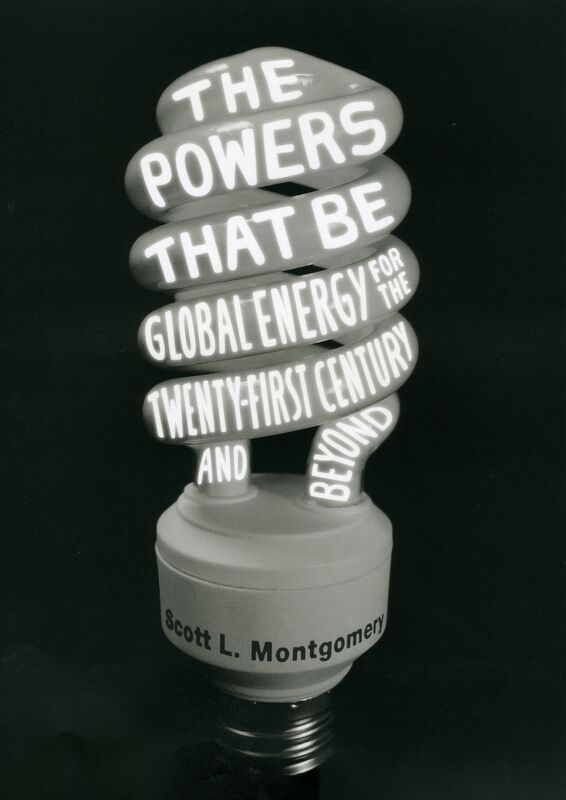 Perhaps not, at least in the near future, but in his new book The Powers That Be: Global Energy for the Twenty-first Century and Beyond, consulting geologist and independent scholar Scott L. Montgomery offers readers a rare glimmer of hope—arguing that quitting cold turkey isn’t a necessary—or realistic—step towards securing our energy future anyway. What is crucial, Montgomery explains, is focusing on developing a more diverse, adaptable energy future, one that draws on a variety of sources—and is thus less vulnerable to disruption or failure. An admirably evenhanded and always realistic guide, Montgomery enables readers to understand the implications of energy funding, research, and politics at a global scale. At the same time, he doesn’t neglect the ultimate connection between those decisions and the average citizen flipping a light switch or sliding behind the wheel of a car, . . .
James Franco is a busy man. Between starring in major motion pictures, appearing on daytime soap operas, and guesting in the book trailer for Gary Shteyngart’s new novel, he is also pursuing a literary life; his debut short story collection will be published this fall. For now we’ll recuse ourselves from judging whether Franco’s writing talent is equal to his acting abilities (judge for yourself: PWxyz offers up representative opening lines from the short stories, and Esquire published “Just Before the Black” back in March). But we can equivocally say this: the guy has great taste. 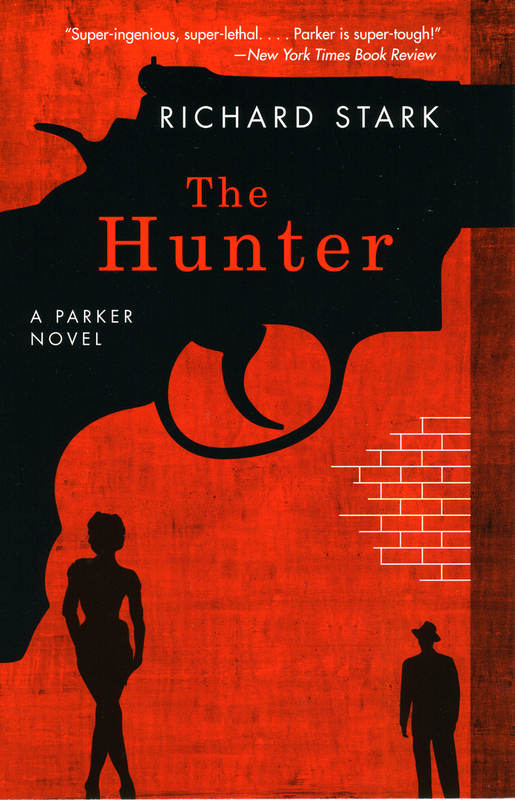 In a May interview, Franco discussed his favorite recent reads, among them our very own title: Richard Stark’s The Hunter. And today, culture blog Flavorwire dutifully assembled this James Franco Reading List, which, of course, contains the classic crime thriller. Well, James, since your proposed seminar at Yale got nixed, you probably have some time on your hands. And if you liked The Hunter, we’ve got plenty more where that came from. In September 2008, the University of Chicago Press began reissuing Donald E. Westlake‘s Parker novels (which he wrote under the alias Richard Stark), and so far we’ve bought fifteen titles back into . . .
On this day in 1921, researchers at the University of Toronto announced the discovery of the hormone insulin. In the nearly nine decades since, insulin has transformed diabetes from a death sentence to a manageable condition. But the discovery of this miracle drug was hardly free from controversy. With various researchers staking claims for recognition and prize money, the bizarre clash of scientific personalities threatened to overshadow one of the most significant and contentious medical events of modern times. 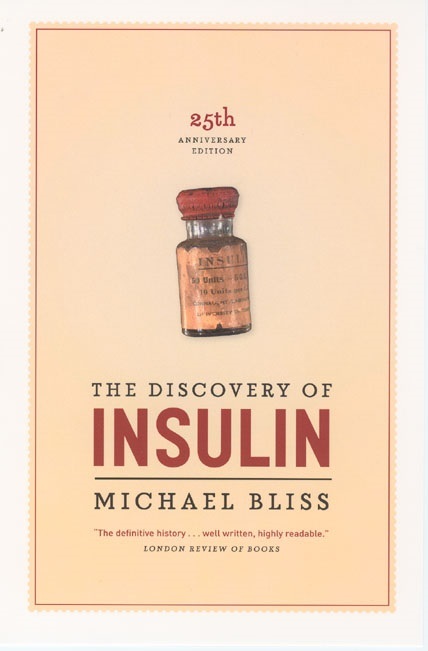 In the brilliant, definitive book The Discovery of Insulin, award-winning historian Michael Bliss sets the record straight. When F. G. Banting and J. J. R. Macleod won the 1923 Nobel Prize for discovering and isolating insulin, Banting immediately announced that he was dividing his share of the prize with his young associate, C. H. Best. Macleod divided his share with a fourth member of the team, J. B. Collip. For the next sixty years medical opinion was intensely divided over the allotment of credit for the discovery of insulin. In resolving this controversy, Bliss also offers a wealth of new detail on such subjects as the treatment of diabetes before insulin and the life-and-death struggle to manufacture insulin. This now-classic study . . .
Robert K. Elder author of Last Words of the Executed discussed his book earlier this morning on WGN’s noontime news program. Check out the archived video below. The product of seven years of extensive research by journalist Robert K. Elder, Last Words of the Executed presents an oral history of American capital punishment, as heard from the gallows, the chair, and the gurney. The book explores the cultural value of these final statements and asks what we can learn from them. We hear from both the famous—such as Nathan Hale, Joe Hill, Ted Bundy, and John Brown—and the forgotten, and their words give us unprecedented glimpses into their lives, their crimes, and the world they inhabited. Organized by era and method of execution, these final statements range from heartfelt to horrific. Some are calls for peace or cries against injustice; others are accepting, confessional, or consoling; still others are venomous, rage-fueled diatribes. Even the chills evoked by some of these last words are brought on in part by the shared humanity we can’t ignore, their reminder that we all come to the same end, regardless of how we arrive there. Read excerpts from the book. . . .
Wisconsin Public Radio’s To the Best of Our Knowledge aired a program last week on the theme of monsters, inviting several authors on the show whose books explore the important role they play in the Western imagination. Among them was Joshua Blu Buhs, author of Bigfoot: The Life and Times of a Legend. 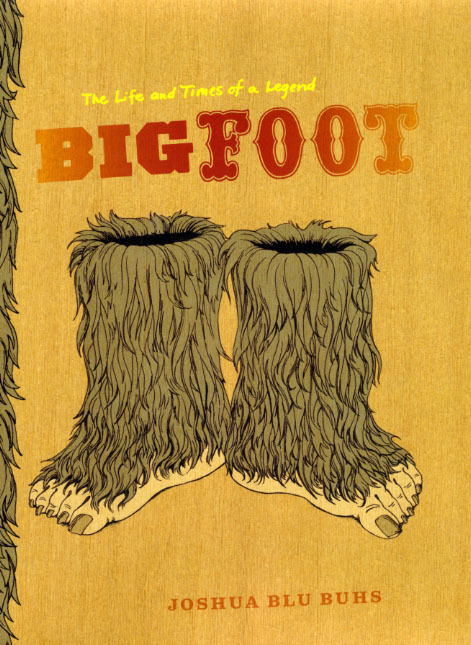 While Buhs doesn’t believe in Bigfoot, as his book demonstrates, there’s no denying Bigfoot mania. Tracing the wild and wooly story of America’s favorite homegrown monster from the early nineteenth-century to the present, Buh’s book offers more than a few interesting insights on what our fascination with this monster says about modern American culture. You can catch the To the Best of Our Knowledge podcast on the WPR website or archived at this third party site. Also, find out more about Buhs’ book on our website with this excerpt, and an interview with the author. Or stay right right here at the UCP blog to read our previous post featuring Buhs in dialogue with fellow UCP author Sigrid Schmalzer on Bigfoot and its Chinese analog, the yeren. . . . 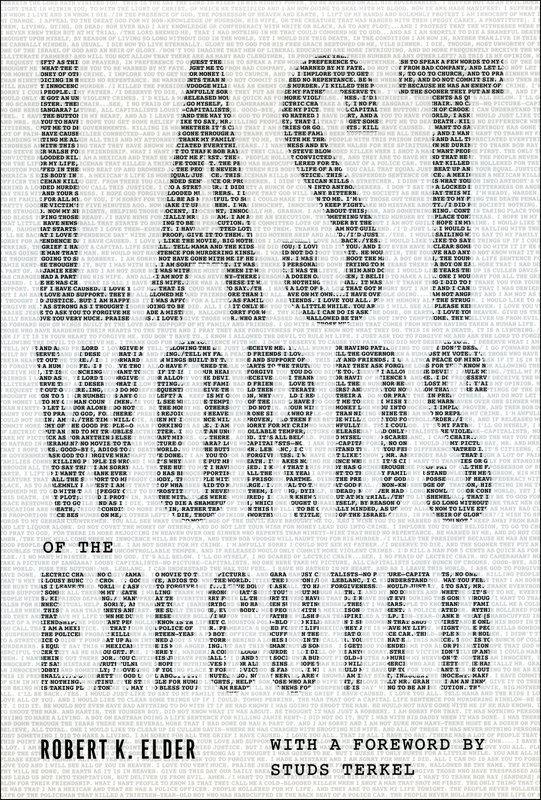 The Huffington Post ran a short piece by Robert K. Elder, author of Last Words of the Executed talking about his new book and offering up a selection of some of the provocative “last words” from its pages. Check the Huffington Post website to read and post a comment, as well as check other reader’s reactions to the controversial issues Elder’s book raises. Also see Elder’s website for the book or read another selection of excerpts . . . .
Eighty-five years ago today, Tennessee high school teacher John Scopes was found guilty of teaching evolution and fined $100 for violating the Butler Act, which made it illegal for school teachers to question or teach against the biblical explanation of the origin of life. Though much has changed in the last nearly nine decades, evolution is still put on trial and Charles Darwin’s theories often subjected to intense scrutiny and debate. But how many people—especially those who disagree with him—have ever taken the time to read Darwin’s work? In celebration of the 150th anniversary of the seminal On the Origin of Species (which was commemorated in 2009), the New York Times launched an innovative interactive feature, which allows users to read samples from the classic text as well as annotations from prominent scientists. Several of our authors are represented. John Thompson, author of The Coevolutionary Process and The Geographic Mosaic of Coevolution and editor of our Interspecific Interactions series, contributed his thoughts about Darwin’s description of the natural selection process. William B. Provine, author of The Origins of Theoretical Population Genetics and Sewall Wright and Evolutionary Biology, talked about his marked-up copy of On the Origin of Species and how . . .
As the days heat up during the summer months in Chicago usually so does the crime, and this year is no exception. And while the entire city suffers the consequences in one way or another, perhaps no one feels it as acutely as Chicago’s law enforcement officers. 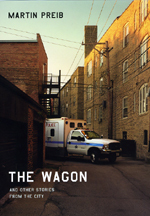 For a closer look at the sometimes harrowing work of Chicago’s finest, WBEZ’s Eight Forty-Eight invited Chicago Police officer and author Martin Preib on the show yesterday to discuss his job as a cop, and some of the stories he’s written about it in his new book The Wagon and Other Stories from the City. Navigate to the Eight Forty-Eight website to listen to the archived audio from the show or listen to UCP’s own podcast with the author and read one of the stories from the book: “Body Bags.” . . . In 1939, Miguel Hernández, one of Spain’s greatest modern poets, was sentenced to death under Franco’s regime for his left-wing sympathies. Though the sentence was commuted to 30 years, the poet never saw freedom again and died of tuberculosis in a Spanish jail in 1942. Last week, the poet’s family filed a lawsuit in the Spanish Supreme Court, asking that Hernández’s guilty verdict be expunged from the record. As The Independent explains, “In March, the family had a posthumous ‘declaration of reparation’ from the Spanish government. But they are not satisfied. ‘We want something more, that they void the death sentence, so we can take away that burden,’ his daughter-in-law, Lucía Izquierdo, said. ‘That’s why we are asking that justice be served, that they hand down a ruling of innocent. '” In the U. S., Hernández’s name remains less well known than that of Federico Garcia Lorca, despite Hernández’s renown as a poet of equal distinction, in part because he was a victim of artistic oppression exercised during Franco’s totalitarian regime. For many years, complete and accurate versions of his work were difficult to obtain even in Spanish. Yet despite this, Hernández went on to achieve legendary status in his home . . .
As Paul Brunick notes in the introduction to his list of top film criticism sites posted recently to the website of the Film Society of Lincoln Center, most commentary on the impact of the internet on film criticism is rather negative—forecasting a decline in quality in the face of a rapid increase in the quantity of available resources. However as Brunick points out, with the right guide to help you sort through the “head-spinning” amount of material out there, the internet has the potential to offer the savvy cinephile a heretofore unparalleled cornucopia of intelligent film criticism. Amongst the many top on line resources on the list, Brunick cites several excellent film criticism sites from Chicago authors, (or soon-to-be Chicago authors) including Jonathan Rosenbaum’s site, http://jonathanrosenbaum.com/. When Rosenbaum, a long time film reviewer for the Chicago Reader‘s film section retired in ’08, the Reader took down most of his essays. 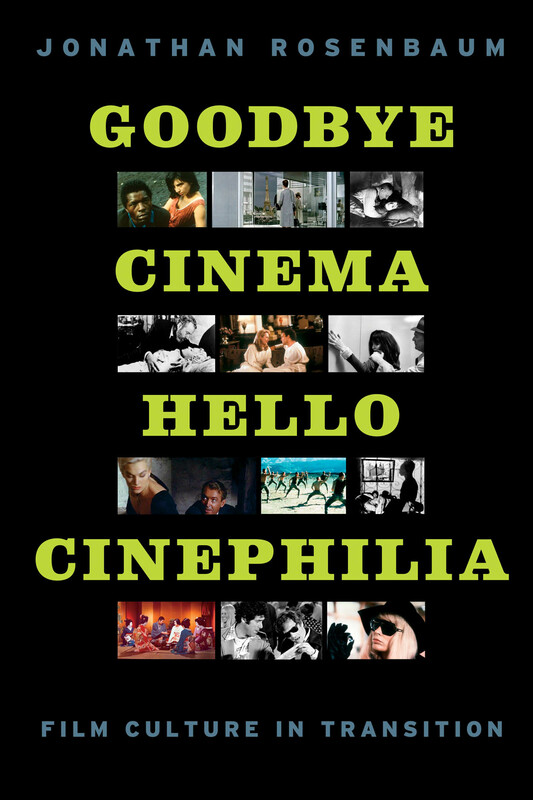 Rosenbaum’s blog however, rescues the best of his reviews and commentary from the Reader, and his new book, Goodbye Cinema, Hello Cinephilia: Film Culture in Transition includes pieces both from the Reader and many other sources of his wide-ranging criticism. It should be noted that Rosenbaum also contributes to several . . .